Below is a recount of a vivid dream that started in 2014, and hasn’t let go ever since. Enjoy. It is early Friday morning and even though I have slept for only five hours, in my dream I am wide awake and energized. As the mind adapts to having the body peacefully sleeping in Denver and the soul in a different time and location, things seem pretty normal: I see myself sitting down on a white leather couch by IKEA, at my old apartment in Charlotte, North Carolina. The sun filters through the still unwashed window flowing in octogonal patterns, one complex molecule at a time. A unicorn grasses below the apartment’s window, while a human size vacuum cleaner with a sweet smile serves me and my friend a warm cup of espresso coffee. Everything feels pretty normal and in place —including the unicorn. On a coffee table in front, a large hardcover book with a picture of a piece of technology indistinguishable from magic, catches my attention. The heavy volume sneezes and makes it way to my lap, it’s a history book from that backward group of humans who lived and loved in the 21st century. The symbols that make the language are unknown, yet the reading comes fluently: “…the presidential election started by late 2018 with the usual “Exploratory Committees”, visits to Iowa and New Hampshire, the kissing of babies, and promises about health, security, the economy and the deficit. 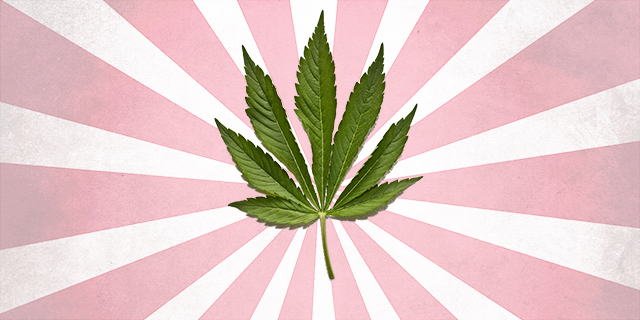 “By Summer of next year (2019) the speeches and press conferences of all candidates —including a fellow called “Jeff Sessions”, focused exclusively on pledging to have cannabis legalization as the flagship of their campaigns. And by Election Day, the two final candidates were competing on how fast they will bring upon “The next greatest Industry of the 21st century”. “If the 2008 election saw Barack Obama became president on the shoulders of health care promises, the 2020 election will always be known as “The Cannabis Election”. Reading further into the history of the 21st century, I learn that the next president of the United States will take office with the clear promise of legalizing cannabis nation wide. It will be followed by a deep reform of the entire regime of legal prohibition and the international expansion of the US Cannabis Industry around the world. And of course, the closing down of the most corrupt organization in the U.S. Federal Government: The Drug Enforcement Administration (DEA). As the life size vacuum cleaner pours a third cup of coffee, and my friend busies herself with a levitating meditation that lifts her off the ground a good foot from her Yoga mat, I slowly drift back into my distant body, back to Denver, back to the year 2019, back to the life many confused souls call ‘real’. Cannabis was the Gateway to winning the presidential election of 2020. ** This story is a recount of a vivid dream that started in 2015, and hasn’t let go every since. The best writing I’ve came across in a long time. Thanks!